Making the concept of Reducing Emissions from Deforestation and Degradation (REDD+) ready to be a mechanism to combat tropical deforestation and associated greenhouse gas (GHG) emissions by compensating developing countries for income foregone in reducing their rates of deforestation, requires solutions for outstanding controversies. Existing opinions on REDD+ vary greatly. By using the Q-method as part of an action research approach, this paper investigates experts’ attitudes towards REDD+. Based on their responses to 41 statements, four attitudinal groups were identified, characterized as pragmatists, sceptics, conventionalists and optimists. Opinions between groups differed as to the level of application, credibility, eligibility, economic effectiveness, and public acceptability of REDD+ policy instruments. Three of the four groups were supportive of international REDD+ type policy interventions, but there was disagreement on the more concrete design issues of REDD+ projects, such as the allocation of responsibilities, the distribution of burdens and benefits, and whether or not co-benefits could be expected, or should be required. 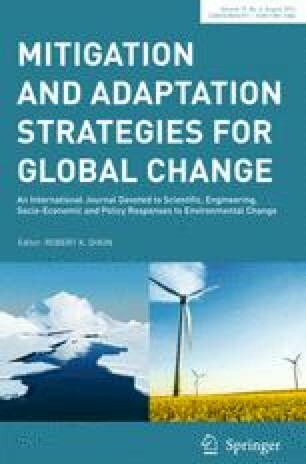 As the potential of REDD+ is shaped not only by international climate policy but also by national and regional policies and stakeholder perceptions, this paper suggests that participatory forms of decision-making may help to develop tailor-made solutions that are supported by the many different actors that are necessarily involved in REDD+ projects. This research was conducted under the EU-FP7 project Reducing Emissions from Deforestation and Degradation through Alternative Land Uses in Rainforests of the Tropics (REDD-ALERT). It is also part of the thematic research on Land Use for Multiple Benefits (WP 3.5) and Evaluation of Ecosystem Services (WP 1.2) of Scottish Government Strategic Research Programme. We are grateful to the participants of the Workshop on Tools and Methods for REDD and REALU value chains (Amsterdam, Netherlands, held on 19 - 20th April, 2011 at the Institute for Environmental Studies of the Free University of Amsterdam), and to other respondents who contributed to the survey. UNFCCC (2007) Report of the conference of the parties (COP 13) on its eleventh session, held in Bali from 3 November to 15 December 2007. Available via UNFCCC. http://unfccc.int/resource/docs/2007/cop13/eng/06.pdf. Cited 13 Jun 2013. UNFCCC (2009) Report of the conference of the parties (COP 15) on its fifteen session, held in Copenhagen from 7 to 9 December 2009. Available via UNFCCC. http://unfccc.int/resource/docs/2009/cop15/eng/11a01.pdf. Cited 13 Jun 2013.